Using size filters on Google Images can help you find pictures that are the perfect fit for your task. 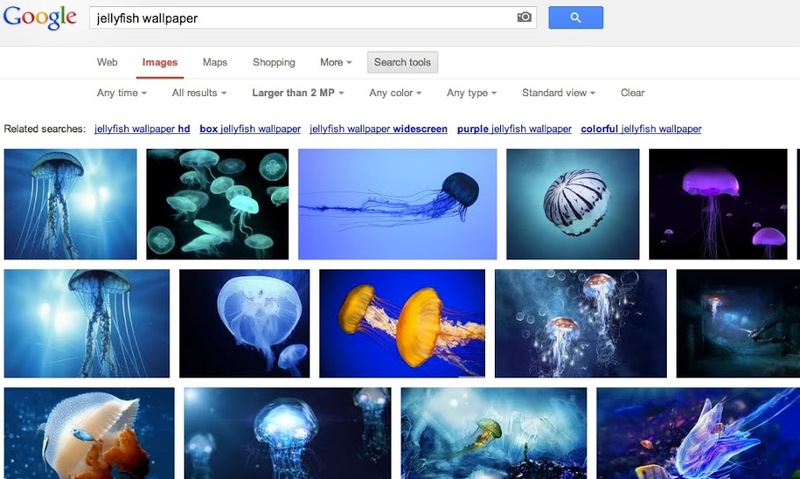 For example, if you're searching for a new desktop background like [jellyfish wallpaper], you'll want a rich, crisp image. Under Search tools, filter for large images, such as Larger than 2 MP (1600x1200). The results will automatically update with vibrant jellyfish images ready for you to use as your wallpaper.